Top winner Li Jingxue from Shandong Province, two runner-ups Luo Lulu and Paulina Munoz pose for group photos at an awarding ceremony of the New Silk Road Model Contest 2012 in Sanya Bay, November 30, 2012. 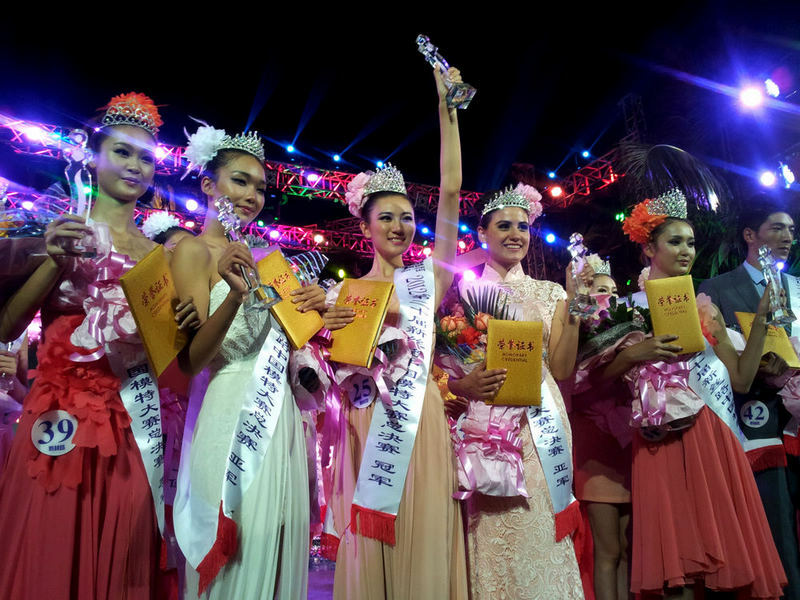 The final of the 20th NSR National Model China 2012 was successfully concluded in Sanya Bay on the evening of December 30th, with contestants Li Jingxue from Shandong Province and Wang Jiaye from Inner Mongolia winning the women’s and men’s competitions respectively. The contestants bring the "Gangnam Style" performance on the stage. After the 13 regional competitions, a total of 38 contestants were chosen to compete in the 3-hour final round, which consisted of swimsuit, evening gown and national fashion costumes competitions. A model presents a swimsuit during the final of the New Silk Road Model Competition in in Sanya Bay, November 30, 2012. The 10 other special category awards were also announced during the contest, which included categories in Best Manners, Best Shape, Best Smile, Best Vitality and Best Shooting. 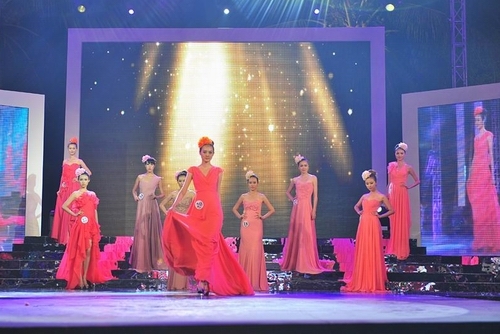 Models present evening dress during the final of the New Silk Road Model Competition in in Sanya Bay, November 30, 2012. In addition to the 38 contestants’ outstanding performances, several of the previous winners, including Zhang Zilin, Guan Qi, Yu Na, Wu Yingna and Gu Yu also showed up at the contest to perform for the audience. The NSR Model Contest, which is acknowledged as the earliest, largest and most influential of the "brand” model events has been successfully held in Sanya for 13 consecutive years since it was established in 2000.